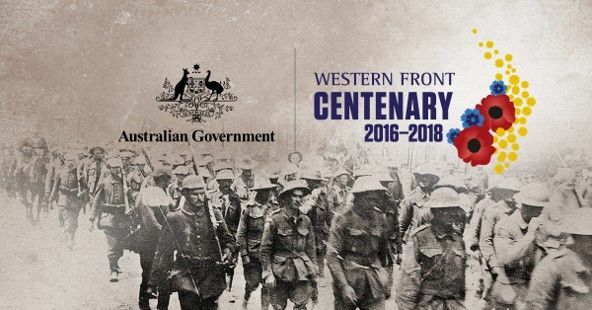 As we approach the Centenary of Armistice in November 2018, a short story will appear each month in the Historical Information section of this webpage, regarding the final battles on the Western Front during 1918 (The Year of Victories). These victories involving Australian forces, led to the signing of the Armistice to the end WW1 on 11 November 1918. "...at the 11th hour of the 11th day of the 11th month, the guns fell silent..."
The second battle of Villers-Bretonneux, 24-27 April 1918. On 21 March 1918 the Germans, commanded by General LUDENDORFF, launched a great offensive against the British forces which withdrew across the Somme battlefield towards the major city of Amiens. This was known as the Great Spring Offensive, a last ditch attempt by the Germans to break the allied armies and win the war. German Army engineers had extended rail communications south of the Somme towards Villers-Bretonneux, close to Amiens. If the Germans captured Villers-Bretonneux, Amiens would be within range of their artillery. The German attack was preceded by a short artillery bombardment, with a mix of mustard gas and high explosive shells. The Australian 8th Division was overwhelmed and a three mile wide gap was opened in the British lines. 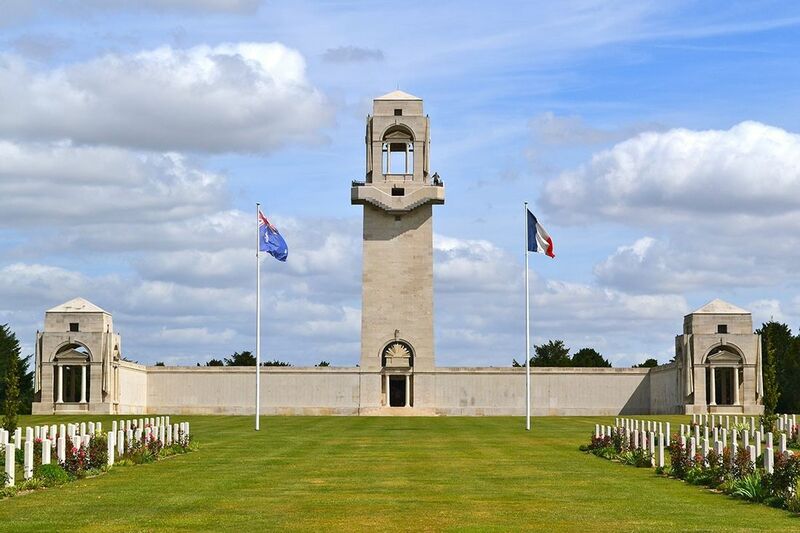 On 24 April 1918, British troops were defending Villers-Bretonneux. The Germans attacked at dawn, and with the aid of 13 tanks, which they were using for the first time, Villers-Bretonneux fell to the Germans. 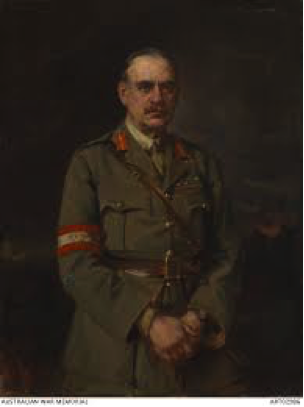 The British Commander of the allied forces, General RAWLINSON, immediately ordered a counter attack. This was to be a night attack by two Australian brigades – the 13th, commanded by Brigadier GLASGOW and the 15th, commanded by Brigadier 'Pompey' ELLIOT. 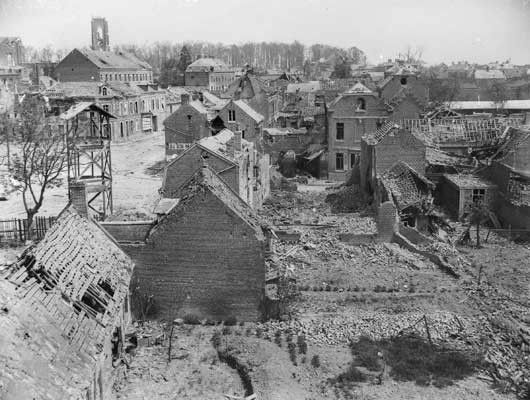 The attack, on the night of 24-25 April 1918, was a total success. By dawn the main German line had been forced back, and the troops in Villers-Bretonneux cut off. By the end of the day the village was back in Allied hands. The Australians suffered 1,455 casualties during the battle. This action effectively marked the end of the German offensive that had commenced so successfully more than a month earlier and arguably the beginning of the end for the German army on the Western Front. Rickard, J. (2007), "The 2nd Battle of Villers-Brettoneux, 24 -27 April, 1918"
Evans, M.M. 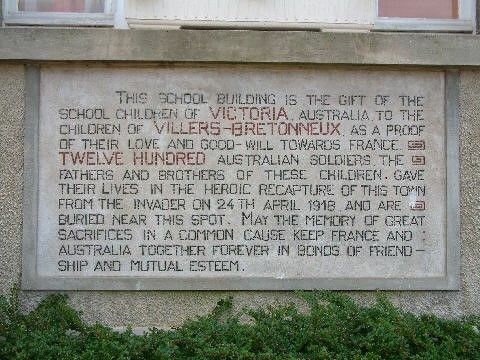 (2003), "1918, The Year of Victories"
Australian National Memorial in France to those who fell at Villers-Bretonneux. 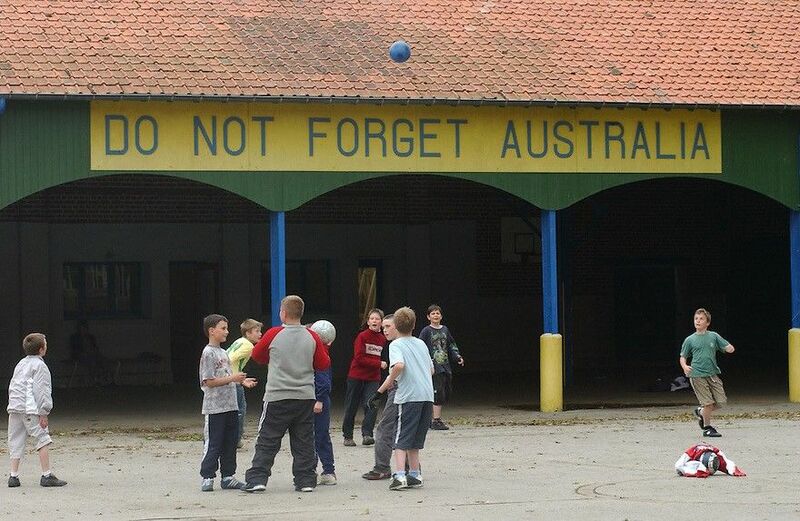 To this day, the people of the town annually observe ANZAC Day, and the school in the village bears the simple message on the playground wall: “Do Not Forget Australia”.